It appears that the much-hyped Comet ISON (officially designated C/2012 S1) that was expected to put on a spectacular nighttime show for the last few weeks of 2013 will not occur, as the nearly mile-wide comet has all but completely disintegrated after its flyby past the Sun on Thanksgiving Day. Passing 684,000 miles from the sun, not even the immense size was enough to keep it intact as it sped past the Sun last Thursday. As it flew away, ISON was thought to have been disintegrated but then gave observers a glimpse of hope as it grew brighter moving farther from the Sun. However, it began to quickly fade yet again the further it went. Some scientists had predicted that ISON could have been the "comet of the century", perhaps even brighter than the moon...if it survived its flyby, that is. After 2011's flyby of Comet Lovejoy (C/2011 W3) gave viewers in the southern hemisphere a spectacular show for weeks afterward, hopes were high that ISON (named after a Russian observatory that discovered it in 2012) would be a spectacle for viewers in the northern hemisphere. Comet ISON came from the Oort Cloud, an icy body of comet material far outside the boundaries of our solar system. Comets coming from this cloud may take thousands of years to orbit the Sun, or possibly never return. So while ISON may have not survived its fiery plunge into our star, there is another comet that is around to give you a show. 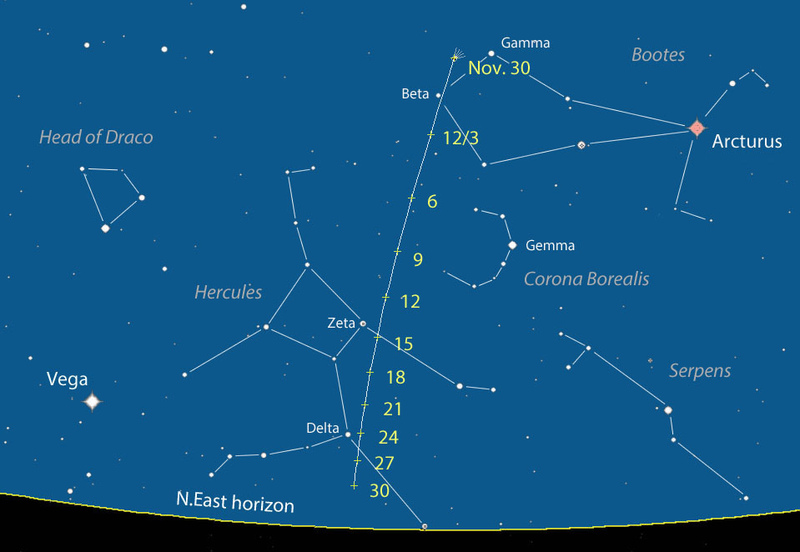 Another comet also named Lovejoy (C/2013 R1, not the one that passed in 2011) is visible in the northeast sky near dawn. So wake up early, grab some binoculars, and put on a jacket and take a glimpse.